The GTX 1060 will reportedly come in 6GB and 3GB variants, with some saying that the lower end 3GB version will not support SLI. Read more on Nvidia's GTX 1060 GPU. I know. 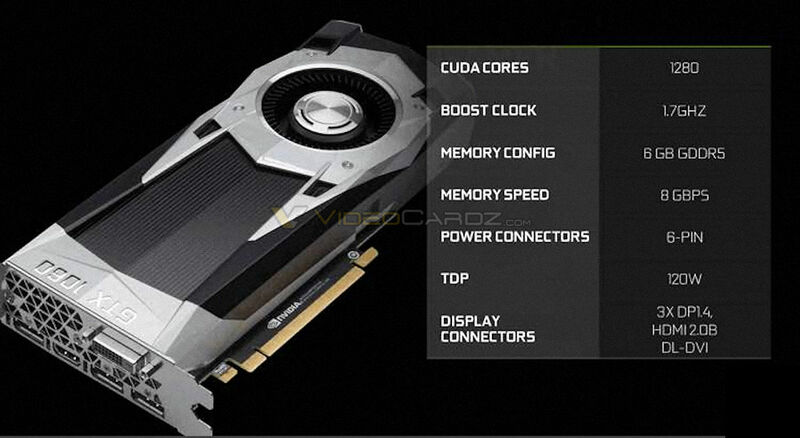 Nvidia have a huge habit of making there comparison graphs looks absoloutely one sided. It's hardly an increase, but they just make it so long. VRAM is not exactly a hard limit, once a GPU uses up it's onboard memory it simply allocates resources from system memory. Admittedly, this will have a small impact on performance, but it's hardly a show stopper. Are you sure about that? the last time I ran out of VRAM on a Geforce card it pooled from the paging file on my hard drive. Savage input lag was the end result. (BF3 max detail on a GTX 470).